No doubt if you keep up with other nail polish blogs, you have probably seen the piCture pOlish blog fest going on! It's a really neat event where a bunch of bloggers all swatch new piCture pOlish shades and post them all on the same day, almost like a party! Well, I forgot to apply to be a part of it (oops), but thankfully still had the opportunity to try out one of the new polishes, Attitude, which was created in a collaboration between piCture pOlish and Kim at OverallBeauty.com. There were a lot of new releases from piCture pOlish this time around. First, there are 5 new shades that were created with the stores in the PP network: Attitude, White Wedding, Pshiiit, Demeter, and Amethyst. They also released two shades in which they collaborated with two bloggers: Kryptonite and Mirage. There are also 4 new unaffiliated shades: Orbit, Tease, Dorothy, and Warning. 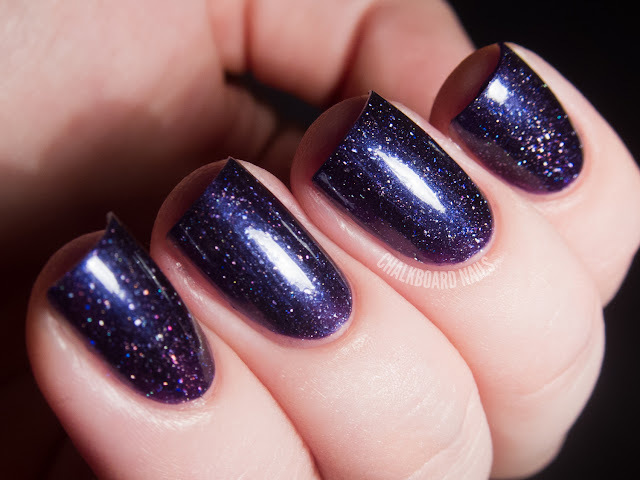 Attitude is a deep and rich blue leaning purple with holographic micro flakies. They are smaller than the flakies you may be used to, but still larger than microglitter and irregularly shaped. Isn't it so pretty? I definitely don't own anything like this. Application was breezy. I used two coats for the swatch here and the formula was incredibly easy to work with. This polish dries to a pretty nice shine on its own, and the microflakies don't cause any textural issues. It's smooooth sailing! The name Attitude comes from the Overall Beauty tagline, "Where beauty has a little attitude." Cool tie-in, huh? 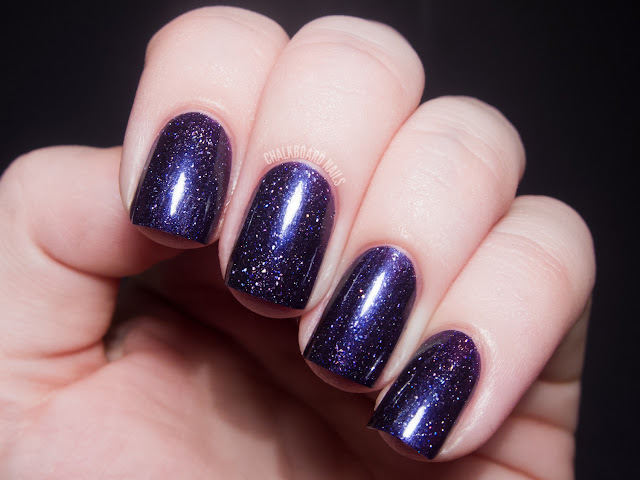 In direct light (sunlight) this polish explodes with bursts of holographic color in the purple base. If you look at my pointer finger in the photo below, you can see the gorgeous blurred sparkle. 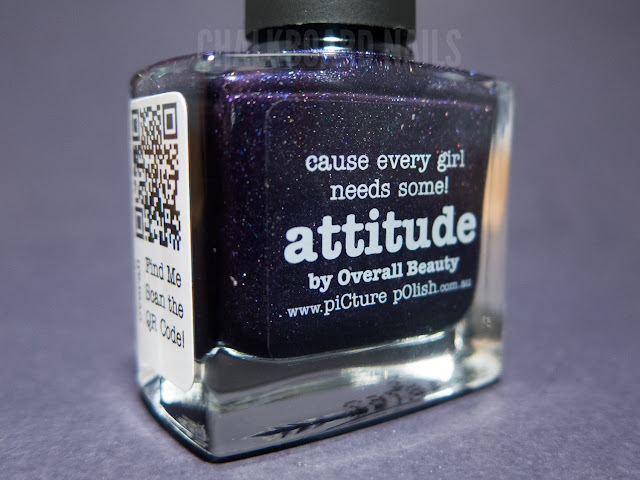 Attitude is available at OverallBeauty.com and on the piCture pOlish website. The product in this post was sent to me for review. As a sweet bonus, Kim, the woman who owns Overall Beauty, has generously offered a bottle of Attitude for a giveaway! Please use the Rafflecopter widget below to enter the giveaway. This giveaway is open domestically and internationally, and ends at midnight on Wednesday August 8, 2012. Must be a follower of CN to win. Giveaway is after the jump! I am loving these "night sky" polishes, as I like to think of them. I've seen several in the last couple of weeks and this one is definitely up there on my list to buy! 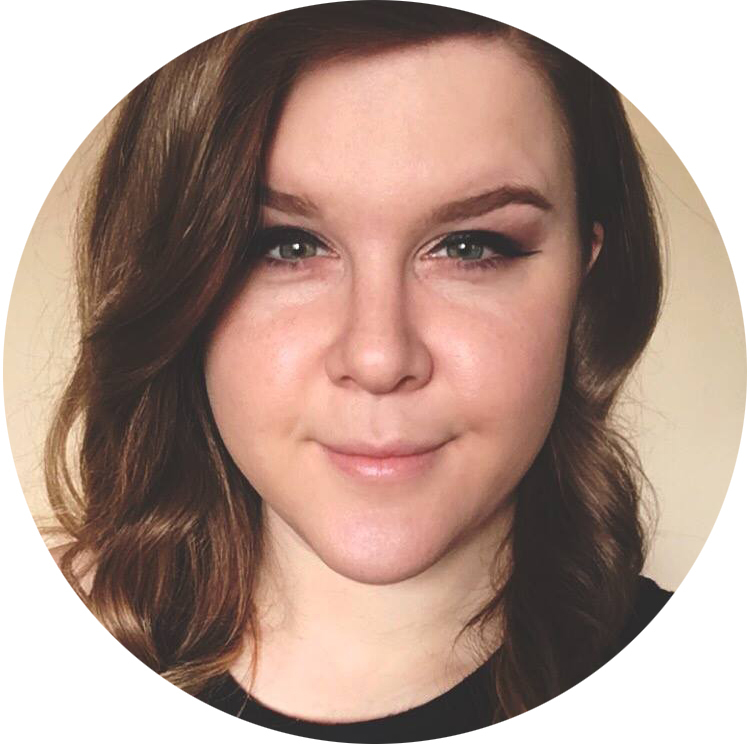 I love your blog...keep up the great work! Oh my, that polish color is adorable! kinda looks like a type of galaxy nails.... or its just me! Attitude is an instant lemming, OHMG, it's beautiful!! Thanks for sharing and for hosting the giveaway! This is a beautiful gem to have. Thanks for sharing this giveaway. I beautiful, i wish i could buy it in my country. Galaxy nails with no effort! Cool! Yes this does look like it could be galaxy nails. Really pretty! I am thinking that every girl needs this polish! stunning!! I HAVE TO GET THIS ONE! No wait... I NEED TO GET THIS ONE! It's SO gorgeous - I can't take my eyes from it! The macro in the micro. Splendid! Thanks for the give away honey!